I hope you’re having a good week. As I announced earlier, Saint Timothy’s will be having Forty Hours of Eucharistic Adoration in the main church once again this year. Mark your calendars for the weekend of Friday, March 9th-11th. The parish advisory council has begun planning again for a weekend of prayer, speakers, and other activities to be announced soon. I’ll be writing with updates on that planning in the weeks ahead. I hope this can be a special retreat weekend for our parish and that many of you will be able to come, as you did last year, which was great. In a special way, I hope you’ll reserve Sunday, March 11th at 4:00 PM in your calendars as we will close the devotions that night with a special evening prayer service, dinner, and refreshments once again. This year, we will be blessed to have Msgr. Steven Rohlfs as our visiting speaker for that event. Msgr. Rohlfs currently serves as a spiritual director at the seminary and teaches a variety of classes. Msgr. 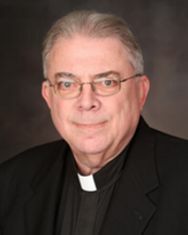 Rohlfs has served in a variety of roles in his life as a priest, including being rector of the Cathedral in Peoria, a pastor, vocations director, vicar general, and rector of the seminary in Mount Saint Mary’s in Maryland for ten years. We are excited to welcome him to Saint Timothy’s to preach our closing of the forty hours in March. I look forward to sharing more information about the weekend with you in the weeks ahead, but I hope you can reserve that weekend in a special way for an opportunity of prayer during Lent. God bless.